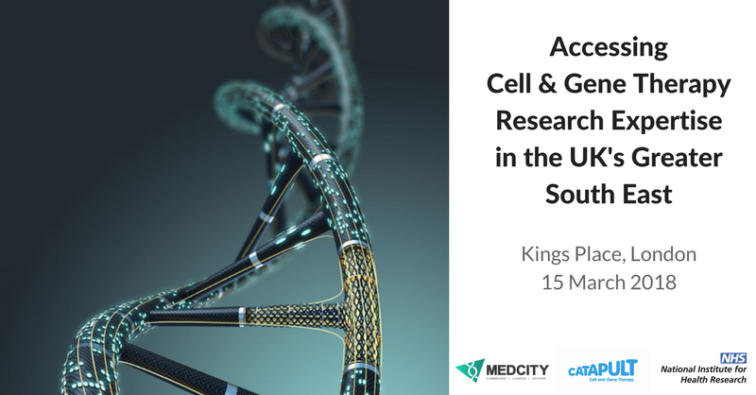 Following on from last year’s successful NIHR BRC Showcase, MedCity, the National Institute for Health Research (NIHR) and the Cell & Gene Therapy Catapult are hosting a follow-up event on Thursday 15 March 2018. Join us at Kings Place, London to hear from – and network with – BRC representatives from London (including Imperial), Cambridge and Oxford, find out about their research in this area and hear about the opportunities available for SMEs and other commercial enterprises to work collaboratively with the BRCs. You can view the programme and register to attend here.